Hope you're all doing your suburi while we're on break! If you want to go but don't have bogu with you, let me know and we can swing past the dojo. Each seminar will be held at Kenshikan Dojo starting at 1:00 pm, and will run for approximately 2 hrs. For Sunday 10 July, dress will be hakama and keikogi, and participants are requested to also bring their bogu and shinai so that they can act as shiaisha as well. 2nd and 3rd kyu kendoka may attend as shiaisha if they wish. As always, a pen, notebook and a copy of the rules should also be brought. I will have some copies of the rulebook available for sale for $15.00. Apologies for the short notice about this seminar, please try to attend if you can. Please confirm your attendance to either of the July Seminars by emailing your Name, Grade & Club to: [macakcyAToptusnetDOTcomDOTau] as soon as possible. Sadly the entries for the Otsuka Taikai have closed. However if you wish to watch, entry is free and it is at the Kenshikan on the afternoon of Saturday 16 July (our first day back at training for term 3). The Victorian Kendo Championships will be our big focus this term. 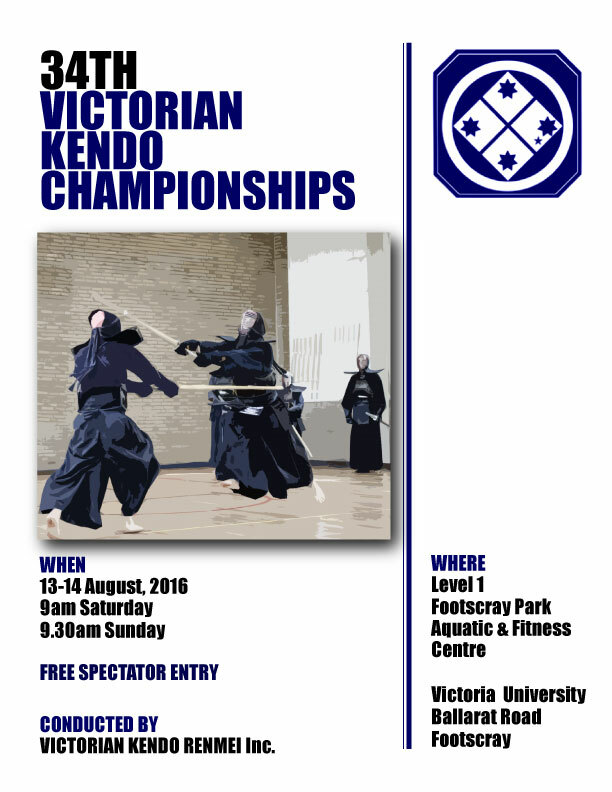 They are Sat & Sun 13-14 August at Vic Uni Footscray Campus. See poster above. Our aim is to enter as many eligible members as possible, ideally a kyu team, an open team, a kata team, as well as individual entries. For those who aren't ready to compete, it would be great to see you there helping out with some of the small jobs required, or at least just enjoying the spectacle. Training starts back on Saturday 16 July. Beginners start Saturday 6 August. 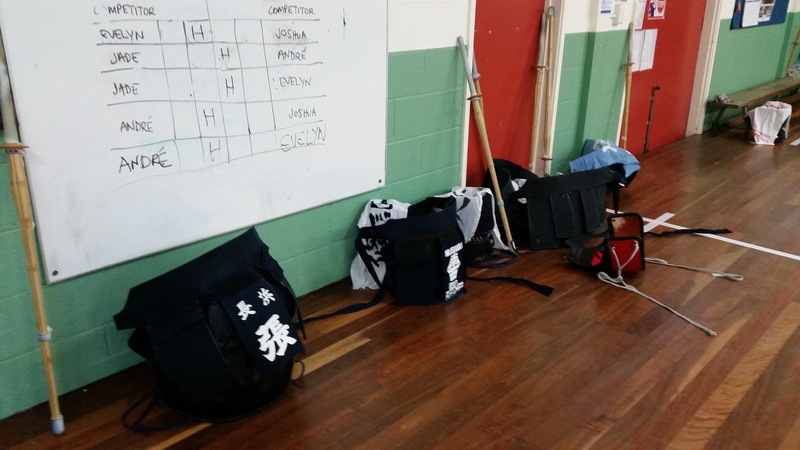 Next gradings are 11 September (kyu grading) 18 September (dan grading).